Long time no post! 2018 was a complicated year for me with Japanese music, to be honest. Not a lot of things excited me this year, and then I inexplicably got far into KPop. Now this isn’t necessarily a reflection of my interest in JPop – far from it, I like interesting pop music just in general. But as we are getting closer to 10 years of the current idol era (which I arbitrarily start at AKB48’s RIVER) the J-idol industry is feeling a little stale, especially as idol groups keep disbanding without many standout groups taking their places. That said, there’s still plenty of solid music, and I want to keep talking about it. So Happy Disco is going to get more posts (hopefully!) in the coming year and some of them will be Kpop – centric in addition to JPop. Instead of a top 25 this year, I’m doing an unranked list of my top 10 favorite Jpop songs of the year and then another unranked list of my top 10 Kpop songs of the year. So here we go! Hi All! I’m back from my short break from Happy Disco to bring you my favorite posts of the year, which are the Tokyo Idol Festival posts. This time, instead of going through all the acts alphabetically closer to the time of TIF, I’m going to go through all the batches of idol groups and artists announced as they come up – hopefully this will make my job a bit easier. On this and the next post I’m going to go through the 14 groups that make up the first announced acts for Tokyo Idol Festival. This year, Sashihara Rino of HKT48 is acting as the chairman. Given Sasshi’s current interest in idol producing (producing the group =Love and working with Someday Somewhere for the TV show Last Idol) this feels like a natural fit. I think her focus on idol producing is an interesting one, and I wouldn’t be surprised to see her running an idol empire some day. Right off the bat we start with a group I love! 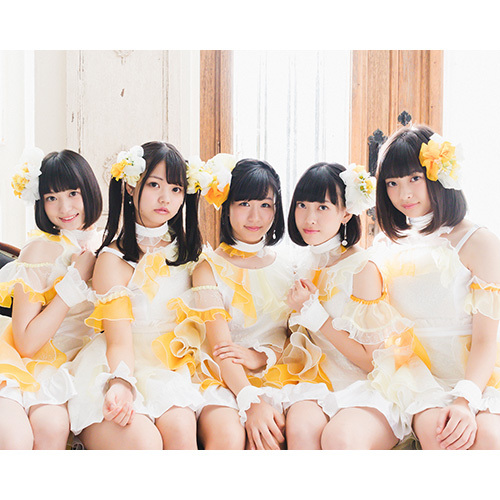 amiinA is a group that was formed in 2012 with two members, Ami and Miina (hence the name), but in 2016 Miina left and the new member, Miyu, joined. amiinA is one of the most music-focused idol groups out there. Their sound is a totally unique indie-rock sounding sound that they describe as being a mix of post-rock, electronica and northern European sound. They have really ambitious sounding music, often with tracks that don’t feature the members of amiinA much. 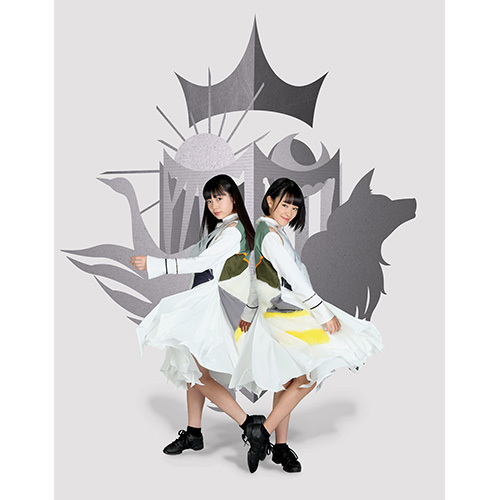 But their music is uniformly really great – their album Avalon and their mini-album Valkyrie have been very consistent listens for me since I found amiinA last year. I feel like if you like amiinA depends on how much you gel with their music – if you like their music I think you’ll almost certainly like them. For me, amiinA has a unique, refreshing sound and some fantastic music I listen to on a frequent basis – if I was going to TIF they’d be a must see group. They’re having their first one-man live later this year, so amiinA might be a group to keep your eyes on! Another unit I already like! Osaka Shunkashuto got its start as a rock unit produced only by one guy, Soezimax. However, they eventually moved to a new label and produced some more music and have since moved to Avex and released a few major label singles there. There are a lot of people that prefer their indies releases, but their new releases are still pretty good in my opinion. Osaka Shunkashuto is firmly a rock unit, and the thing that sets them apart is their main vocalist, Maina, sings almost everything and has a VERY powerful voice. If you like J-Rock with an idol twinge with a powerful vocalist, Osaka Shunkashuto might be for you – idol rock isn’t even my thing and I still love this group because Maina’s voice is very compelling. That said, you might miss their indies days before Avex – I still think their new stuff is solid but Chameleon Shoujo, one of their early indie singles, is still by far my favorite song of theirs. That said, if rock idols are your thing, you owe it to yourself to check out Osaka Shunkashuto. Shine Fine Movement is one of the groups of Label the Garden, which is Nippon Columbia’s idol label. To be honest, this is the first I’ve heard of Label the Garden, but Columbia is a pretty major label so it’s interesting to see that they’re just starting to branch out into idol content. They only started forming groups in 2016, so this is just getting started. Shine Fine Movement is the 3rd group from Label the Garden and was formed in September 2017, so this group is brand new. They’ve released one single so far, Hikari Crescendo, but they’re releasing their second single in a few months. That said, since they’re a part of a major label I can’t imagine they wouldn’t be active. Additionally, three of the five members are actually sisters, which is a pretty interesting fact. 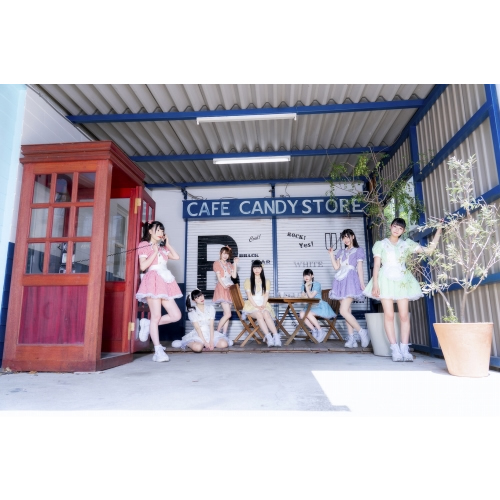 Their music and aesthetic seems to be pretty standard cute idol fare, but their music is all solid. Hikari Crescendo is the clear stand out from what I’ve heard but the B-Sides aren’t bad at all. Shine Fine Movement doesn’t stand out much to me right now, but for being a new group they seem to be on a good track, and I hope the best for them! 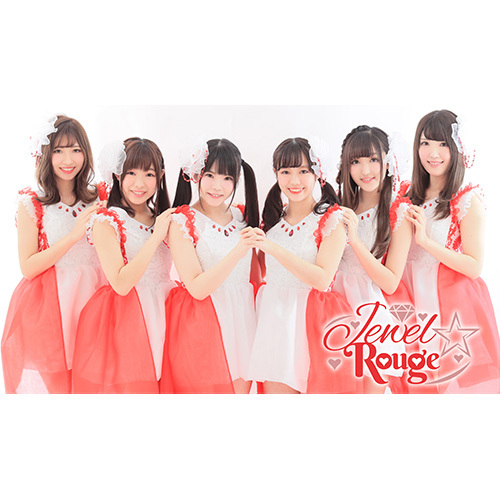 Jewel Rouge is the newest group from Arc Jewel, and part of their new project Jewel Garden. What separates this project from the rest of Arc Jewel’s Jewel-themed groups I’m not sure. Jewel Rouge made their stage debut in December 2017 which makes them a VERY new group. This makes them tough to follow – I only found one video of them performing, and one video announcing their TIF performance. That’s it so far. So if you want a newer group to follow, this could be it, and if you like other Arc Jewel groups like Ange Reve and Doll Elements then Jewel Rouge isn’t a bad one to follow. It’s hard to see much about them so far, because of how little is out there about them now. However, all the members seem fun and energetic, and they were all enthusiastic in the one live video I saw which was pretty charming. So far I haven’t been able to get really into any of the Arc Jewel groups, so I don’t think Jewel Rouge will be the group to make me love Arc Jewel. However, they seem like a fun group so I recommend checking them out if you already like Arc Jewel. Another new group, Junsui Cafe Latte (written as Pure Coffee Latte on a lot of places) was formed in March 2017. They have a bit of a cafe gimmick, and advertise that they do showroom shows every day, which is potentially of interest to foreign fans who would be interested in following an indie group from outside of Japan. It doesn’t seem like they’ve put any singles out yet, but they have music videos and music on their YouTube channel. They seem to mostly do cutesy idol music but they do have some decent songs – Tomaranai Yume is cute and fun. I think the biggest draw is if you like Showroom shows – this group is really accessible for you. That said, if you’re going to TIF and like traditionally cute idols, Pure Coffee Latte might also be for you. The only solo idol out of this group, Sorano Aozora got her start in the local idol group Vienolossi in 2013 before branching out on her own as a soloist in 2014. Since then she’s put out three singles as well as her first full album which came out this past January. Her nickname is Aonyan and she aims for a primarily otaku audience, calling them warriors. She features a lot of idol otaku imagery in some of her videos and performances. While she initially started out as a very typical Akihabara style idol with a very cutesy image and sound, she’s recently been branching out into more a darker, rock-inspired style for her music. While her cutesy stuff is all good, I think her most recent single and the lead track, Level 4, off her new album show just how much potential she has. She has a really nice voice when she’s not making it sound cutesier than it is. That said, I think more than anything her discography shows a nice range, and a lot of potential. She has some great stage presence from last year’s TIF performance, and I’m interested to see more from her. Task Have Fun is a group that formed in 2016 and has kind of taken the idol fan world by storm with their single from last year, 3WD. They’ve put out six singles so far, with their name referring to how life has many tasks, but they want to approach them by having fun. To be honest, I didn’t really get Task Have Fun until working on this post. I was originally underwhelmed with 3WD and the other songs I listened to, and while I wanted to like them (their aesthetic and their music style is up my alley) I just couldn’t. However, I didn’t fully appreciate or understand Task Have Fun until I saw a few clips of them performing live, which is where they totally shine. All the members have an energetic, fun stage presence and perform everything with real intensity. This is a group that shines on stage, and suddenly I found myself enjoying the music a lot more. I still need to let something like 3WD and their newest single grow on me, but their live show impressed me so much that I’m going to try and give them another shot. If you haven’t checked out Task Have Fun yet, I hope you will now! The end of the list! My top 5 songs of the year! Here we go, time for my second batch of honorable mentions! This is a bit of a bigger group of songs than I normally put as honorable mentions, but this year had a lot of amazing music. The last four songs in particular are ones I really wish had a place on my top 25 list, but unfortunately didn’t make the cut.